The Aberdyfi Food Festival is back by popular demand for its fifth year. Venue: The playing field next to Neuadd Dyfi, Aberdyfi LL35 0NR. 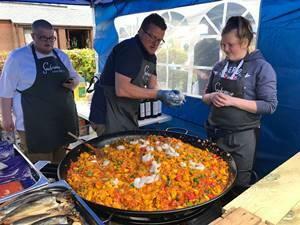 The Festival will feature cookery demonstrations by leading local chefs as well as the opportunity to sample and purchase a wide range of Welsh produce including sea food, award winning cheeses, locally reared meat, Swshi, smoked foods, preserves & jams, Welsh wine, beer & cider, organic vegetables & herbs.